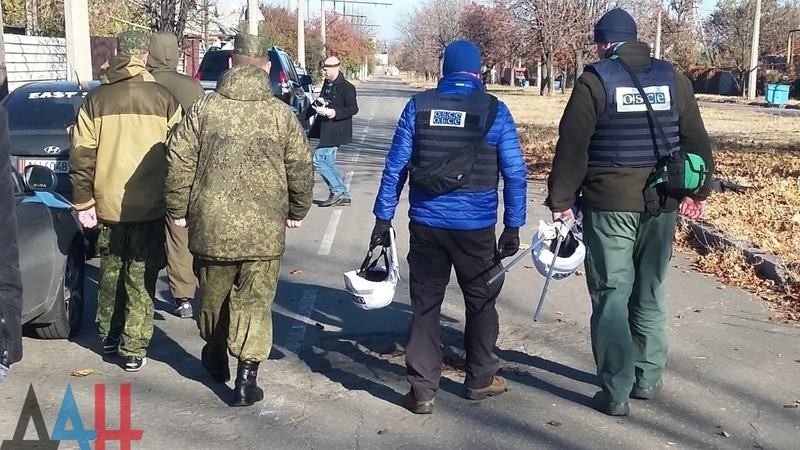 Inspector group consisting of OSCE Special Monitoring Mission, Russian representatives in Joint Center for Ceasefire Control and Coordination (JCCC) and Donetsk People’s Republic Defense Ministry representatives will inspect the site of the Ukrainian army shelling in Zaytsevo village in northern Gorlovka outskirts, a source in DPR Defense Ministry informed Donetsk News Agency today. “Today the JCCC monitoring group with general Rustam Muradov and OSCE monitors intend to inspect Zaytsevo village, shelled by Ukrainian army during the night,” the source said. This entry was posted in News from Ukraine and tagged DPR, Gorlovka, JCCC, OSCE, Russia, Zaytsevo. Bookmark the permalink.